Roses, hydrangea, lisianthus, toad lilies and fresh lavender create a unique, garden-inspired design. Our commitment never wavers in supplying our customers with quality, value, and beauty. 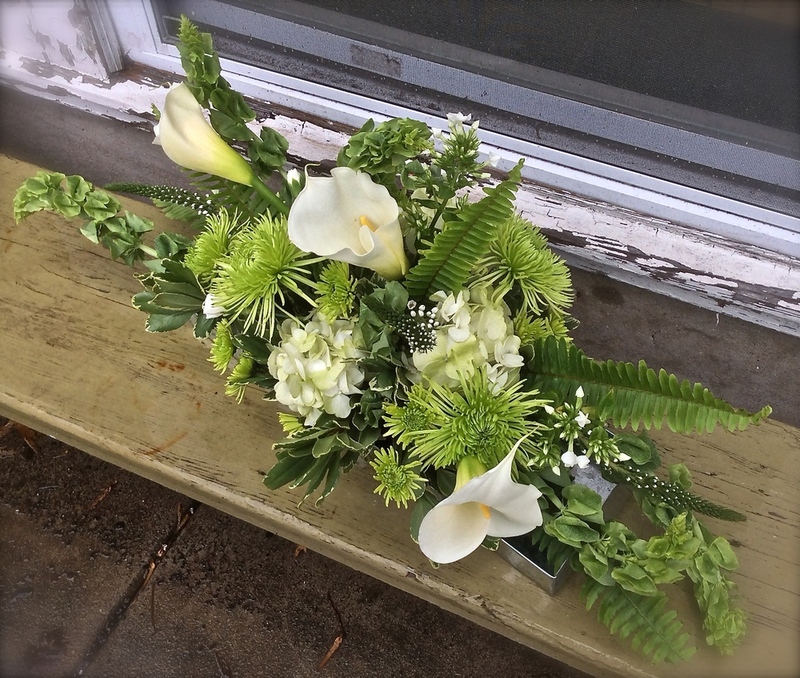 From everyday arrangements that help celebrate the joy of a birthday, anniversary, or "just because", to the sensitive details of a sympathy arrangement, we strive to convey the feeling of the moment through our flowers. 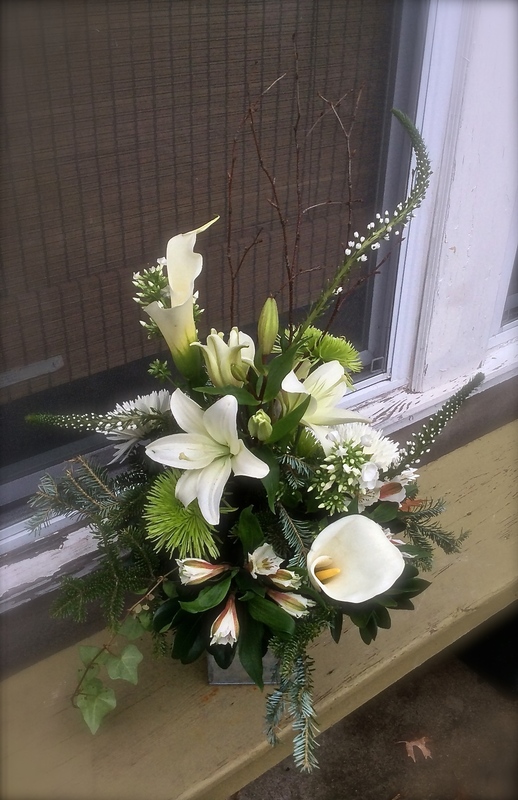 We only use flowers that are at their height of freshness and beauty, to help ensure long lasting, stylish combinations. Please take a moment to look through our designs to get a feel for our style. 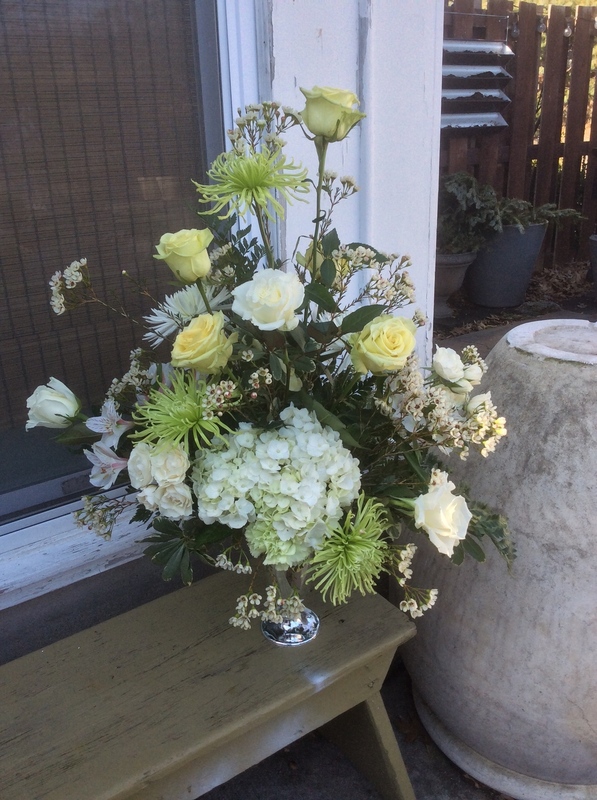 Click on any photo to get a price range for that arrangement*. Don't see exactly what you're looking for? We'll be more than happy to create a custom design, just for you. To place an order, please call us at 636.949.9953. *Prices do not include delivery or sales tax. Prices are subject to change without notice. 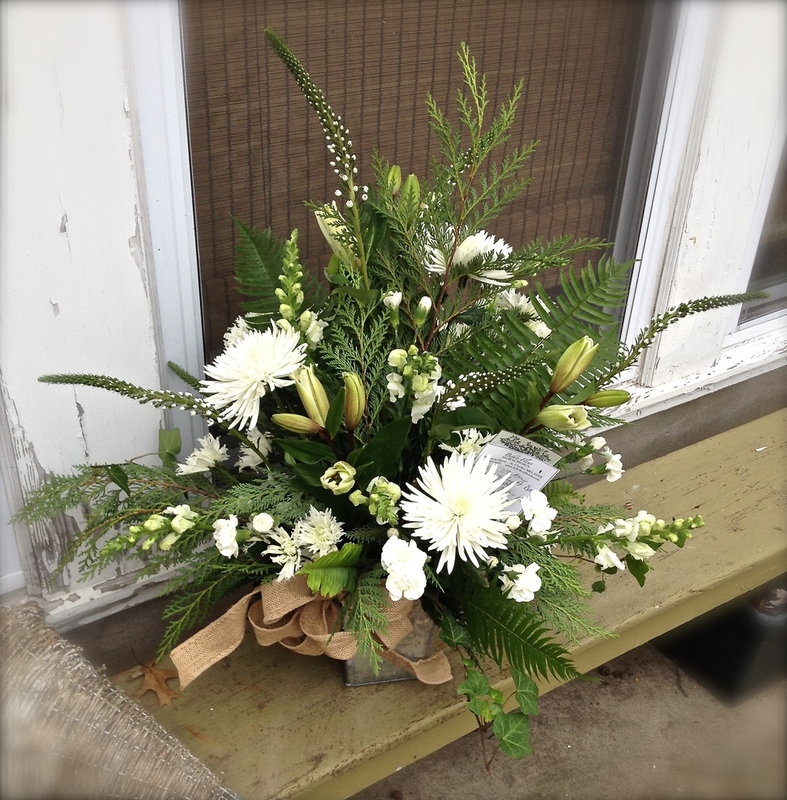 Feelings of sympathy and support are translated through our custom arrangements. 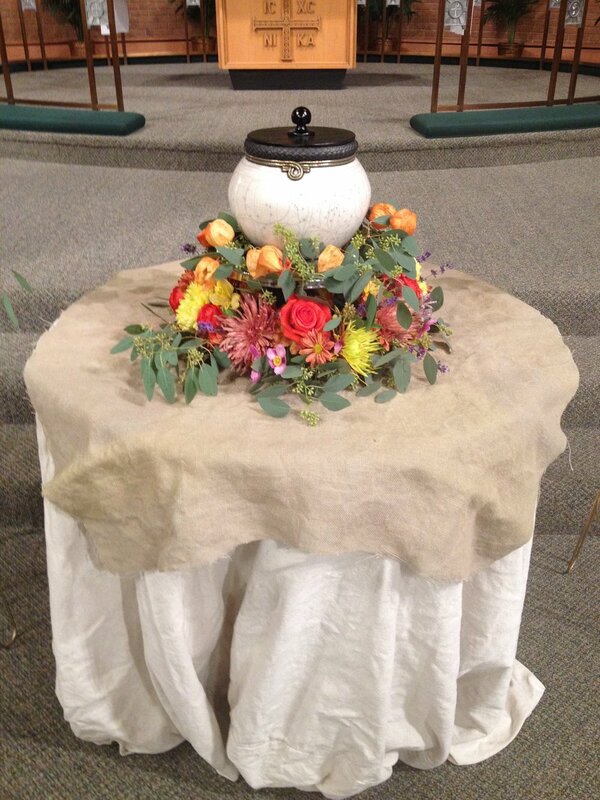 In addition to the arrangements shown, we also design whole- and half-casket sprays. 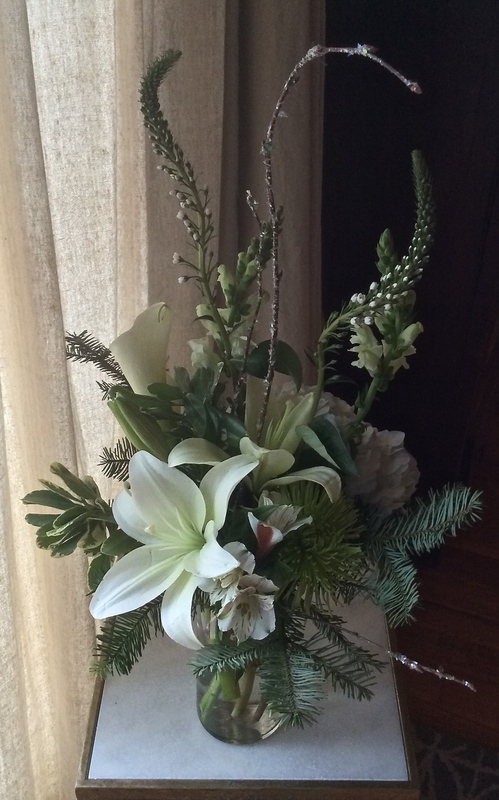 Belle Fleur is pleased to offer our seasonal container garden design. 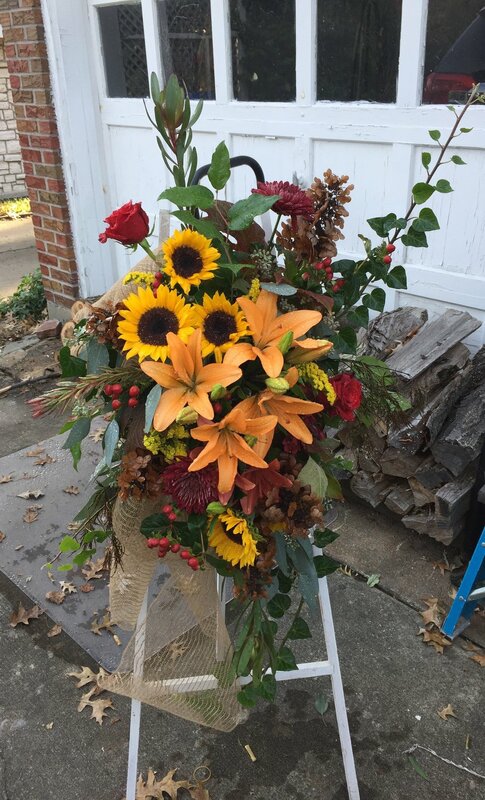 We will take into account the look and style of your home, and create a mini-garden that is a low maintenance enhancement to your patio, garden or front facade. Call us for details at 636.949.9953.